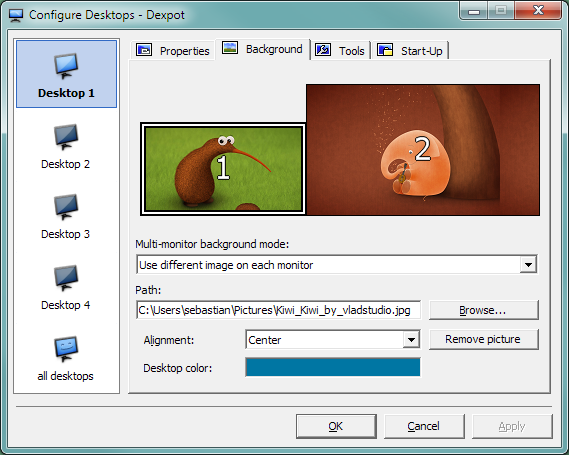 Dexpot turns your monitor into up to 20. Dexpot creates additional workspaces you can quickly switch between. Take, for example, Desktop 1 to listen to your favourite music, surf the web on Desktop 2, use Desktop 3 to handle your daily word processing or switch to Desktop 4 for a game of Solitaire. Different icons, wallpapers, start-ups, and much more can be configured for each desktop. 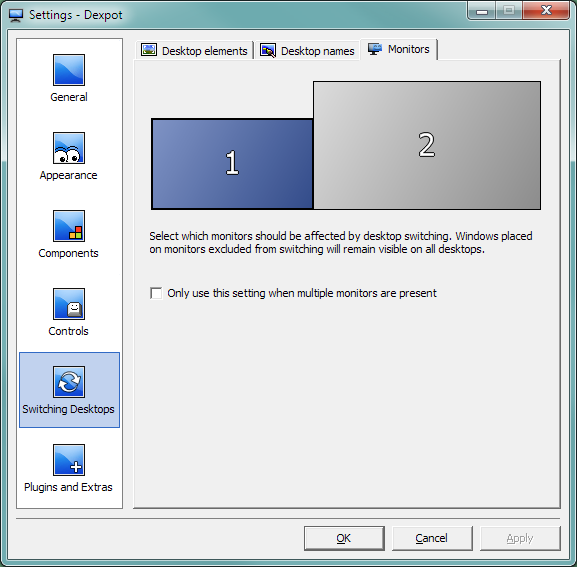 Users owning netbooks, tablets and UMPC with small screens and low resolutions will benefit from virtual desktops as well.